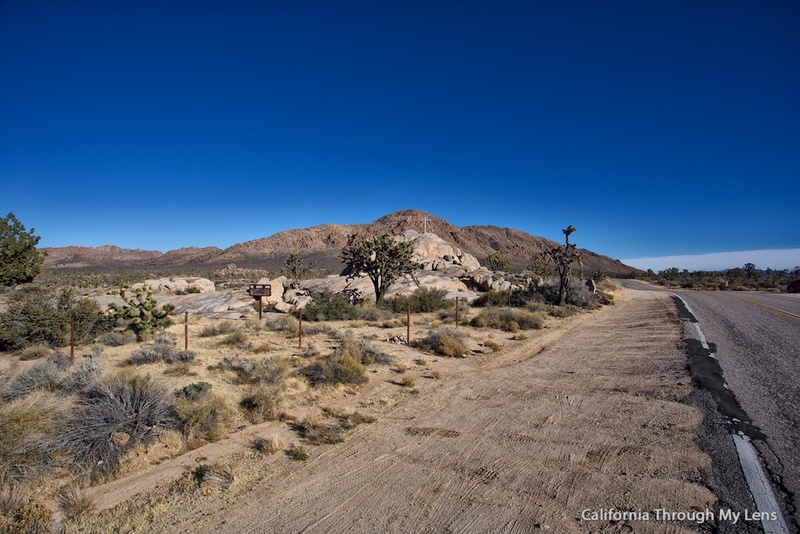 On a little road in the top of the Mojave National Preserve sits one of the most unpopular crosses in Southern California. It has been steeped in litigation for decades and seems to either make people happy or really upset them. I for one think it is a beautiful monument erected to honor those killed in the war. I have a hard time understanding why it can bother so many people, when you have to spend a good three hours and go really out of your way, to even see it, but I digress. 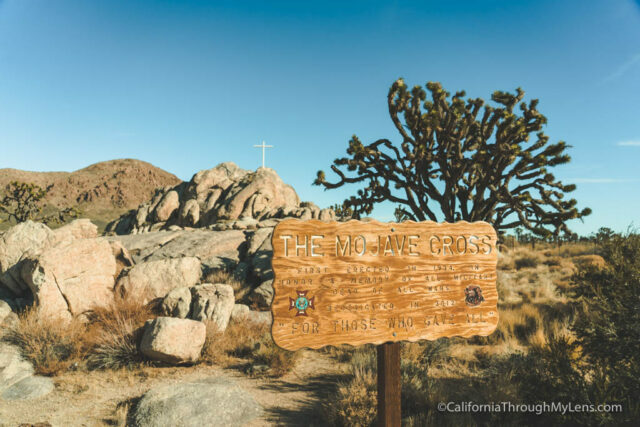 Here is my post on the Mojave Cross. 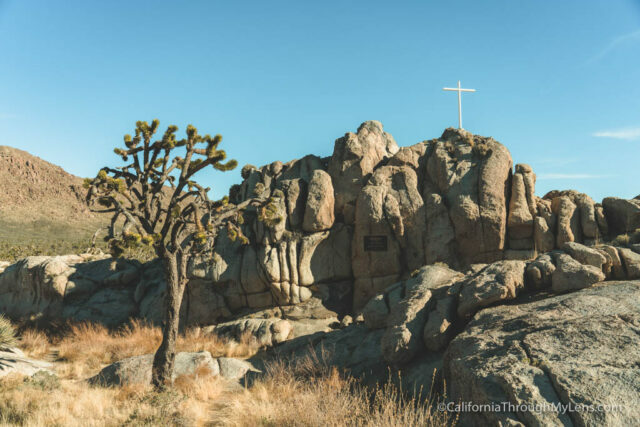 The Mojave Cross was erected in 1934 as a memory to those who were killed in action during World War 1, and it is here to represent the amazing sacrifice those that fought for our country gave. Since that time, it has had many different caretakers that have maintained the memorial and preserved it for people who it stands to honor. 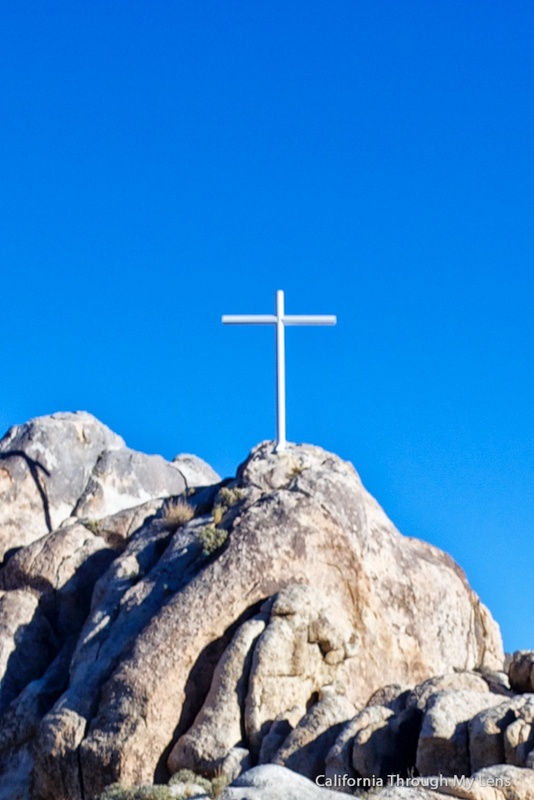 During the recent litigation, brought up because the cross was located on government land (separation of church and state), the cross was boarded up as it was declared illegal. With more work though, the land was eventually transferred to the veterans group, allowing them to keep the cross and for the government to escape the lawsuits. 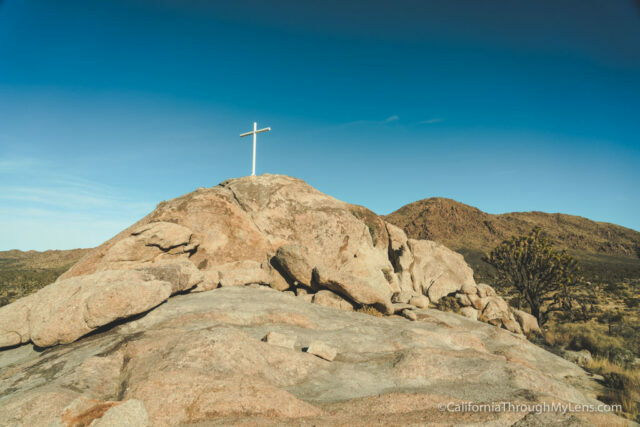 After that, the cross was stolen, recovered 500 miles away, and then it was reintroduced in 2012 when the state granted them the land that it is on today. After hearing all of that history, I wanted to see the fabled cross myself but hadn’t made the time to do it. When I went to hike the Cima Dome, I literally stumbled onto the cross, since it was right next to the trailhead I took. 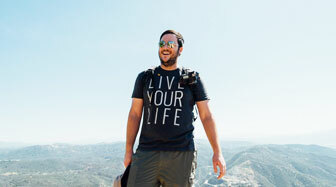 I was excited to see it, but there is not much to do at the cross-site. 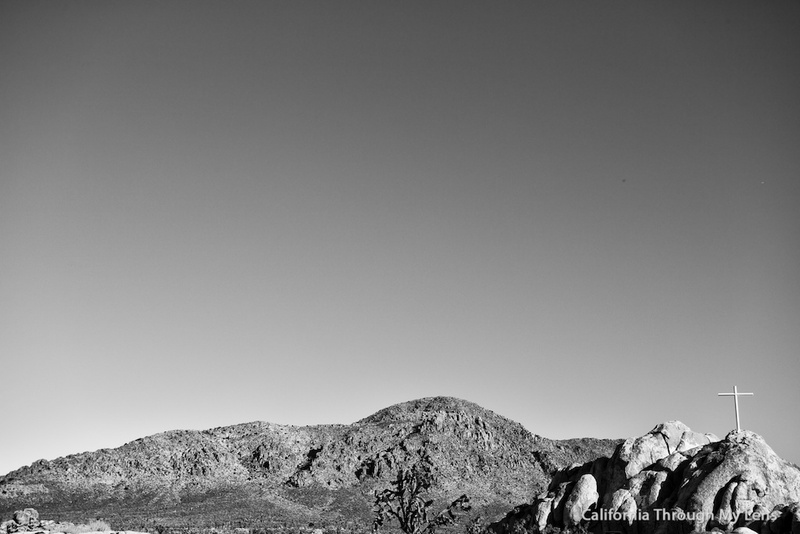 It is one of the more everyday crosses compared to those at Mt Rubidoux, Soledad and Grant Park. The cross itself is up on a hill, and there is a plaque that shares the history of the cross and the memorial. The entire area has a wooden fence around it, but you can enter through the back, and there are picnic tables to sit at. All in all, it is a nice stop for a couple of pictures, but I wouldn’t go out of my way to see it. 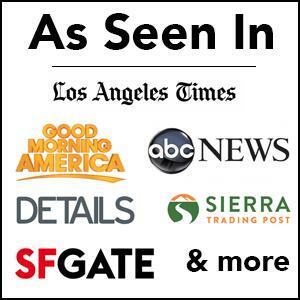 Be sure to leave a comment if you have been or have additional information on the history.